Founded in 2003 by a group of talented software engineers, Vega has created several of Vietnam’s most successful Vietnamese social media websites. 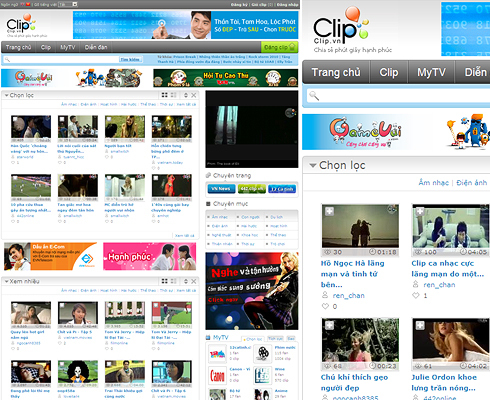 Their flagship offering, Clip.vn, is the first video-sharing website in Vietnam, a robust and widely-used platform similar to YouTube, with a database of over 300,000 clips. The scarcity of online entertainment content in Vietnam has created a strong demand for multiple portals and entertainment destinations with a need for technology partner to power their backend. Vega’s other sites include Chacha.vn, a social music network, and Ringring.vn, a social ringtone network. Vega Technology has also established strong relationships with all major mobile carriers to distribute streaming media services over their platforms.